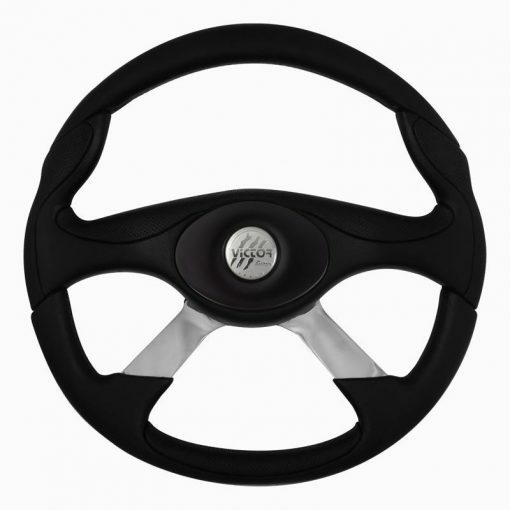 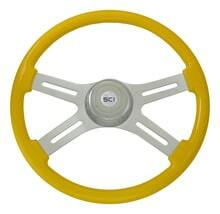 18″ Genesis black polyurethane steering wheel with chrome 4 spoke. Made by Steering Creations. Sold by each.